Thirty-seven NIU College of Education students are traveling to teach in Asia this summer, a “business trip” guaranteed to enrich and shape their professional lives in amazing ways. Part of the college’s experiential Educate and Engage Program, the inaugural Educate Global journey will place NIU students at China’s Beijing Royal School from early July through mid-August or Taiwan’s Miaoli County Government Education Bureau Schools in July. 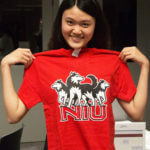 Huskie travelers depart in late June to teach English as a Foreign Language in summer camp settings to Chinese and Taiwanese pupils in third- through 12th-grades. Undergraduates on the trip already have completed their first professional semester in Early Childhood Education, Elementary Education, Middle Level Teaching and Learning or Special Education. Some graduate students in the same licensure programs, or currently holding teaching licenses, also are making the flight to Asia. And it’s impossible to beat the price: Educate Global covers an amazing package that includes round-trip airfare, room and board and cultural tours. “I have long believed that travel is one of the best teachers about diversity, culture and one’s place in the world,” Elish-Piper said. NIU students who participate in Educate Global will give themselves a leg up in the job market, said David Walker, associate dean for Academic Affairs. 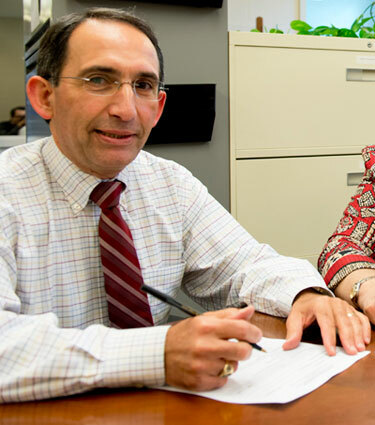 Students can apply for the university’s Engage PLUS Academic Transcript Notation, which demonstrates such skills as critical thinking, organization and teamwork to employers and graduate program. “Our program allows students to become more educated in their disciplines, and engaged outside of the classroom in areas such as experiential learning, hands-on learning, problem-based solving, research and other areas of teaching and learning,” Walker said. Beyond the experience of teaching in a foreign culture, the Educate Global travelers will receive classroom management and instructional coaching by onsite NIU faculty members. They will work with local teaching assistants who help manage students and the language barrier. They will assist with out-of-class activities that culminate in a closing ceremony. Elementary school campers at the Beijing Royal School will learn conversational English through exploring fairy tales, emotions and the similarities and differences between the United States and China. Teenage campers will develop their English through examining aspects of American culture, including American movies and television shows. School-age children in Miaoli, meanwhile, will learn American culture and customs, songs and music, science and social studies with a focus on the theme of comic books and superheroes. Each child will develop and write a comic book while learning to speak, read and write in English. 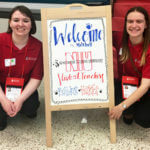 Other NIU students will teach in local schools, where students are registering for lessons in listening skills and social conversation in English. Terry Borg, director of the college’s Office of External and Global Programs, said the engaged-learning initiative opens “a world of opportunity” to students while also benefiting the college, the university and humanity itself. “Looking at this from the big, big world perspective, the more opportunities that we take part in, where we meet and learn from people from other countries, the more we begin to recognize that we are all the same,” Borg said. “I think that I already view the world in different ways but teaching in China will add to these perspectives,” said Taylor, a native of Chicago. Stephanie Eller, a fourth-grade ESL teacher at Emily G. Johns Intermediate School in Plano Community Unit School District 88, expects her Taiwanese campers will teach her something. She graduated in May with her M.S.Ed. in Literacy/ESL from the Department of Curriculum and Instruction. Borg is confident that Taylor, Eller and the 35 others will return with broadened perspectives as they complete unparalleled opportunities to put theory into practice. Some will find the courage and motivation to seek teaching jobs overseas at international school and U.S. Department of Defense schools, he said. Others will gain a greater realization of the need in Illinois for more English as a Second Language teachers as well as for teachers of English Language Learners. All, however, will become superior teachers who “will never view their students or this career in the same way that they have before this experience,” Borg said. Taiwanese students visit the NIU College of Education in 2014. “They’re going to understand now what it means when a students doesn’t understand something because they’re going to be in a place where English is not the main language, and they will translate that experience into their future students’ experience,” he said. Elish-Piper shares Borg’s optimism – and is thrilled to see Educate Global become a reality as well as an incredible differentiator for NIU College of Education students.